Are you proud of your smile? Do you look at magazine models and television stars wishing you had the same confident grin they have? If your teeth are discolored and stained, chipped, cracked, or are slightly misaligned, consider crowns or veneers. Made from esthetic blends of porcelain, crowns and veneers completely cover the front of your teeth to create a perfectly shaped, dazzlingly white, absolutely gorgeous smile. After a comprehensive exam, we will determine if crowns and/or veneers are right for you. Veneers, also called laminates, are thin layers of porcelain that are bonded to the front surface of your teeth. They are long lasting, stain resistant, and stunningly beautiful. 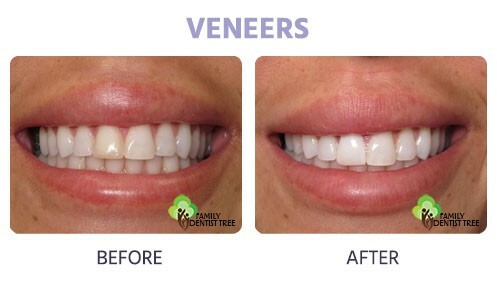 With veneers, the results are so vibrant and life-like, nobody may ever know you have them! If your teeth also need to be made more durable, then crowns may be a better option for you than veneers. Crowns are similar to veneers, but cover the entire tooth instead of just the front surface. 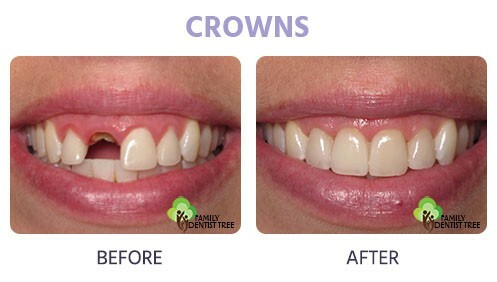 Both crowns and veneers are made from porcelain so they are long lasting and beautiful. Dental care for crowns and veneers is no different from regular dental care. Brush and floss your new smile daily, visit us regularly for professional care and maintenance, and consider wearing a night-guard to prevent teeth grinding while you sleep. 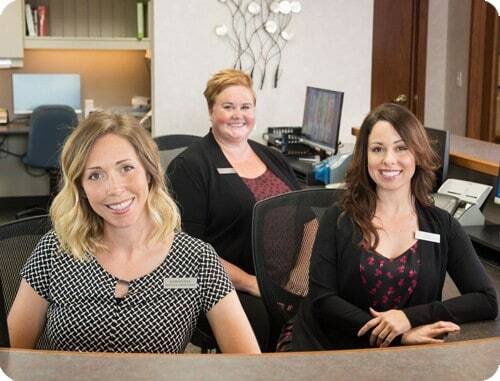 Because we custom craft each patient’s crowns and veneers, you can choose the shape, color, and style that best complements your appearance and the image you want to achieve. If you’re ready for a smile that can boost your self-confidence and enhance your image, contact us today or schedule a smile consultation. Want to know if porcelain veneers are right for you?